If it’s time to buy a new car, maybe a new car for you is a gently used car, or a “new to you car” rather than a brand new, straight from the factory car. And there definitely are advantages…typically there is a lower price tag and depreciation has absorbed by the previous owner. It’s interesting to note that about 40 million used cars are bought and sold every year…there are a lot of people looking to make a good deal just like you. The trick is to find the right used car that is not only more affordable to own and to buy, but also reliable. One young couple with 3 small children, decided they needed a 2nd car, and a used car was what they could afford. After they purchased the car, all they ever experienced was trouble and the mother with her little children was constantly getting stranded somewhere because the car would not reliably start. The best place to start is to go over your budget to know how much you can afford to spend…which not only includes the price of the car, but also the auto insurance and unexpected car repairs. Do some research…find out what cars have a reputation for being reliable, and for running well as you accumulate miles. Consumer Reports is a good source of information. If the mileage you see is the actual mileage of the car or if the odometer has been rolled back. What kinds of accidents has it been in. How many owners it has had. Has the car been totalled and declared a total loss that has not been disclaimed. 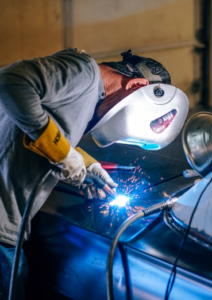 Even a car that has been totalled can be repaired to look in perfect condition. How the brakes are working, and if they are making noise when you try to stop. Check the heater, the air-conditioning, the radio, power windows and seats, sunroofs, and all other electronic mechanisms. Look under the hood…are the spark plugs corroded, can you see anything leaking or covered in oil? Look under the car for oil spots underneath. Check the tread on the tires…will they need to be replaced sometime soon? Take the car to have it inspected by an independent mechanic…it may cost you some money, but it will be less than buying a car that you find out later has a lot of problems. Be sure you are being charged a fair price by looking with such resources as “Kelley Blue Book”. 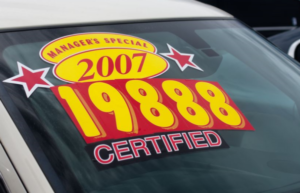 It’s always nice to find a used car that is a “Certified Used Car”. This means the car is certified to have received a thorough inspection before receiving its “For Sale” sign. Check to see that the inspection has been conducted to and receives the stamp of approval from the manufacturer. These cars often come with an extension to the manufacturer’s warranty and give you an extra assurance of quality. Don’t purchase a used car thinking that if there are problems you can count on the Car Lemon Law…typically this law only pertains to new cars. Once you have selected the used car you want to purchase, give us a call at Whitcomb Insurance for your auto insurance needs. We love to sit down with our clients, and we would be happy to sit down with you, answer any questions you might have, whether it’s about auto, homeowners, small business or life insurance. You can count on us to be totally honest and upfront with you!